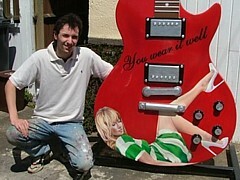 Welcome to the website of artist Michael English. I hope you enjoy looking at the art on this site. 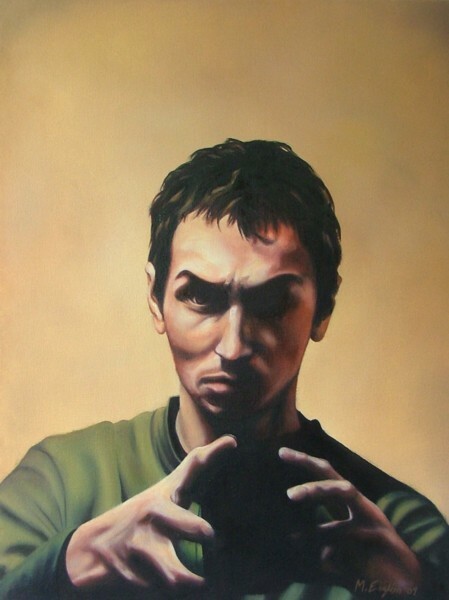 Current work is available to buy and can be viewed on the Gallery page which is updated regularly. Michael accepts all types of commissions. Please use the Contact page to share your ideas and requirements. More details can be found on the Buying Art page. 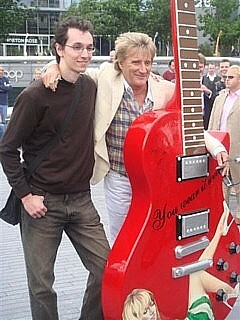 Michael English is pictured with Rod Stewart alongside his 10ft tall guitar “You Wear It Well” created specially for Gibson Guitar Town London. 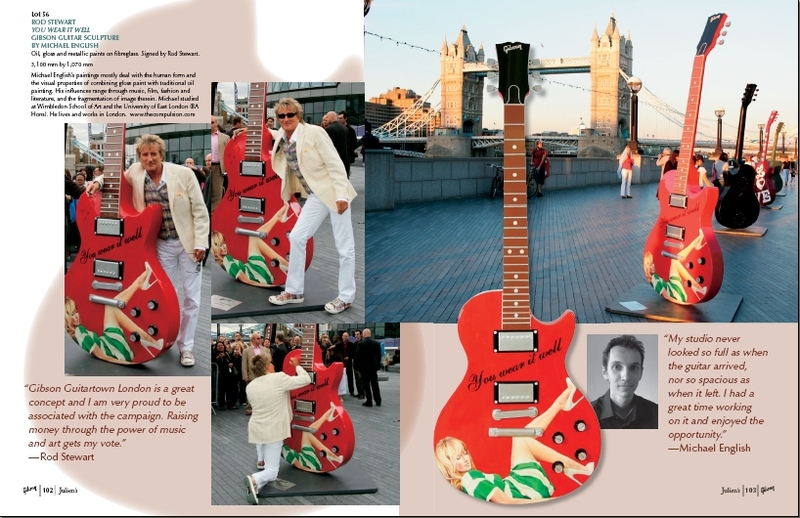 Michael’s hand painted guitar, signed by Rod Stewart, made over £3,200 ($6,700) at the Gibson Guitar Town auction which took place at the O2 Arena’s IndigO2 club. 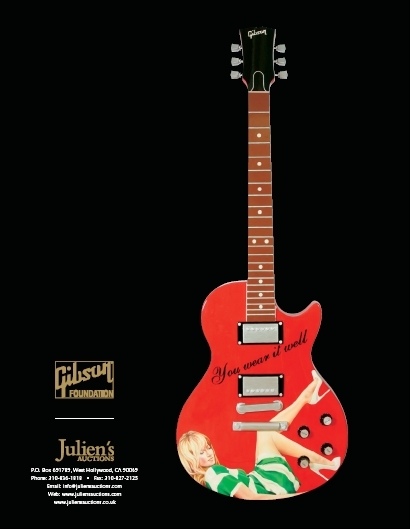 The guitar was also featured both inside the auction catalogue (here) and on the back cover (here). 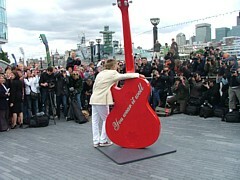 Over £200,000 ($400,000) was raised on the night for charities The Prince’s Trust, Nordoff-Robbins Music Therapy and Teenage Cancer Trust. For more information and links please visit the Events page.